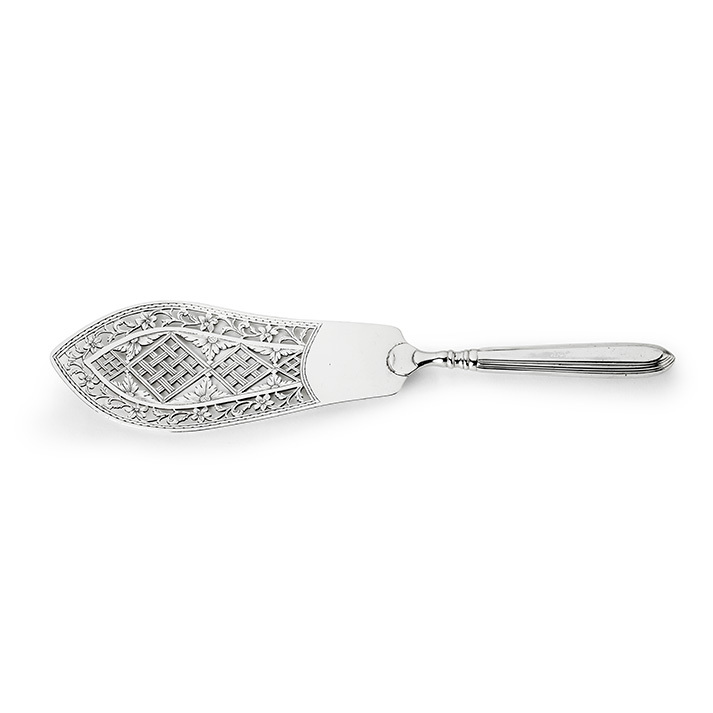 This elegant serving item, which might also have been used for serving pasty or cake, is pierced and engraved with latticework in lozenges, bordered by scrolling flowers. Fully marked at the reverse and displaying an assay stripe. Similar latticework is typical for baskets made by The Hague silversmiths during the second half of the eighteenth century.